I always admire parents whose kids look impeccably clean. I don’t know how they do it. When I feel like desperate after I changed Chloe-Sofia for the third time, I remember what my mom likes to say: “Happy kids are dirty.” It is a sign that they are playing, enjoying nature and having fun. Who cares if the pants got wet and muddy? Let me just say that I am learning to relax and let Chloe-Sofia be herself. Some time ago I began to put aside her clothes with the most persistent stains. I tried all the tricks you can think of (bleach, cold water, vinegar) but as nothing worked, I decided to approach it differently. Instead of trying to fight it, I used it to my advantage. I got several packets of fabric dye and dusted off long lost my tie-dye knowledge. Old clothes. I choose clothes made of cotton. (Natural fabrics such as silk, cotton or rayon are easily dyeable). A dye of your choice. Choose a dye based on the fabric of your garment. If it is made of polyester or acrylic, it may be nearly impossible to dye them as these materials don’t accept dye easily. 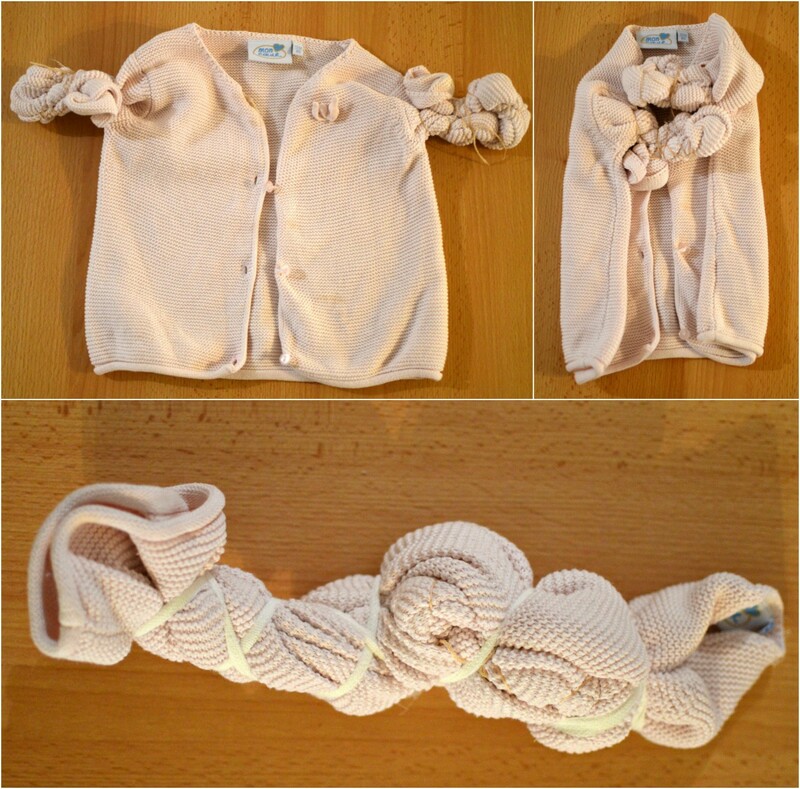 Rubber bands, strings or gauze strips to tie the garment. Note: I bought fabric dye that can be used in a washing machine at 30 degrees Celsius. It is a mix of a dye, fixing ingredients and salt. All you need to do is open the packet and place it inside the washing machine together with the clothes. It is recommended to choose long cycle (at least one hour) and let the washing machine run empty one cycle to clean off any residue. 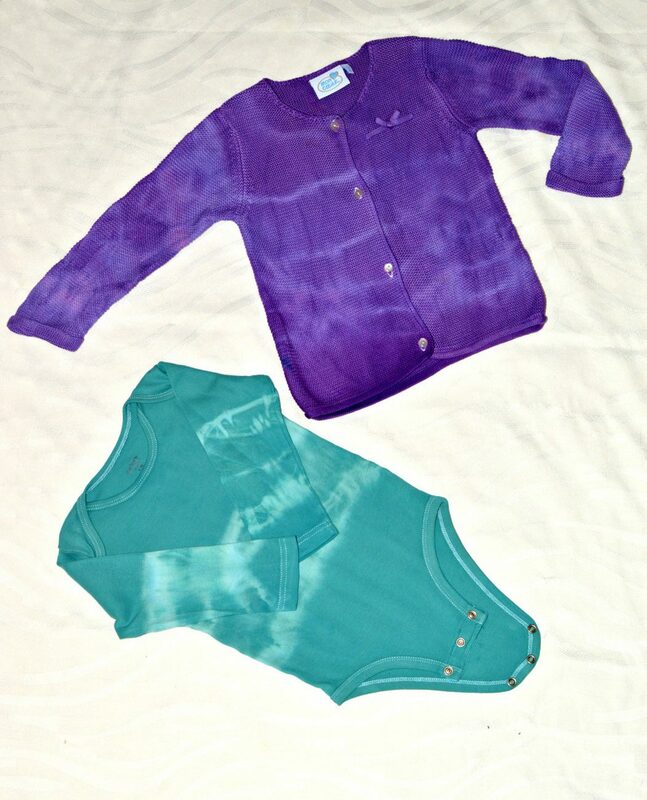 There are other tie-dye methods that my mom likes to use (she is a self-thought tie-dye pro) such as tie-dye in a microwave. The results are impressive but you really need to know how to proceed and be careful so that you don’t burn yourself. I didn’t have much time and in the end, this simple method worked well. Fold, twist or pleat the garment as you like. Bind it with Rubber bands, strings or gauze strips. Read instructions on how to use the dye before you place it in the washing machine together with the garment. 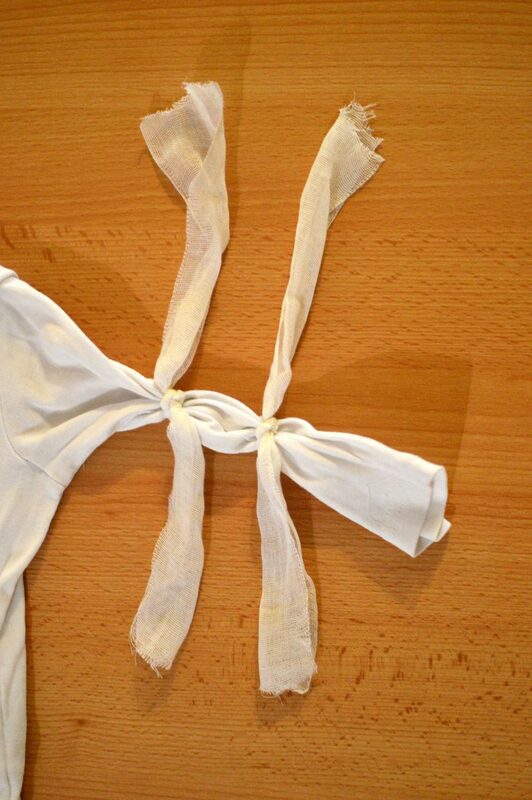 Once the washing cycle finishes, take off the rubber bands/strings and let it dry. 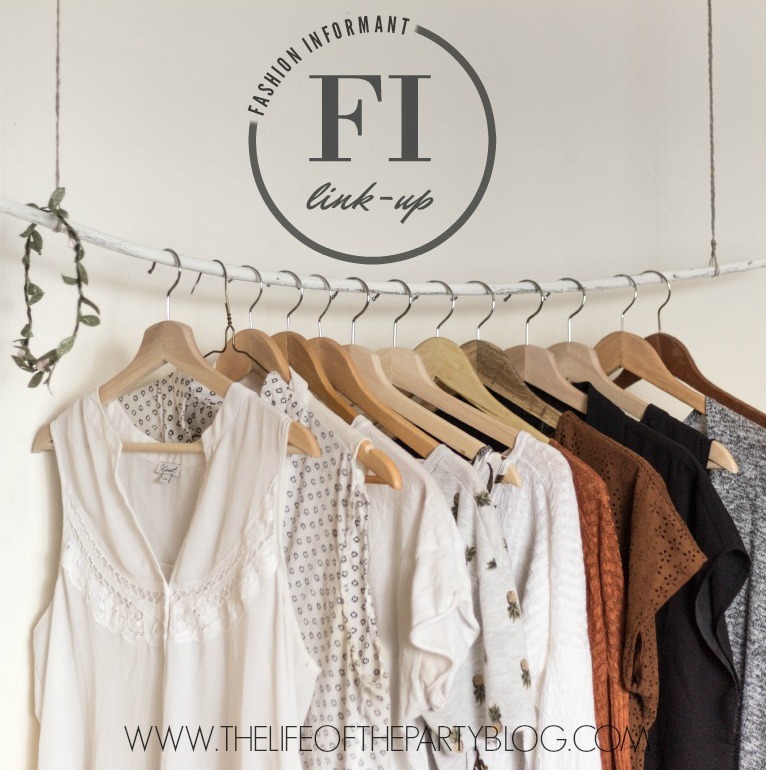 Today I am happy to co-host with beautiful Sherry from The Life Of The Party Blog her Fashion Informant link-up. Sherry started The Life of the Party as a way to document past parties for her children, family and close friends and it’s since morphed into a fashion and interior design and healthy lifestyle blog. She is very passionate about design and finds her brain constantly swimming with ideas of new and interesting color combinations and mixing of fabric textures and patterns. This blog has turned her passion into action; she is constantly inspired by everything that surrounds her on a daily basis and The Life of the Party is her place to bring those thoughts and ideas to life. 9th WAVE Conference: Reinvent yourself. Innovate your Career! Next PostNext 9th WAVE Conference: Reinvent yourself. Innovate your Career! That’s a really good idea – I gave up buying light coloured clothes for my daughter because she ruined them! I remember doing tie dyes with my cousins in highschool. Really cool idea. This is such a cute idea! I love how they came out! !